Text By Mirella Utomo, Photography by Emanuele Brai & Conrad White, Styling by Eva Natasa. 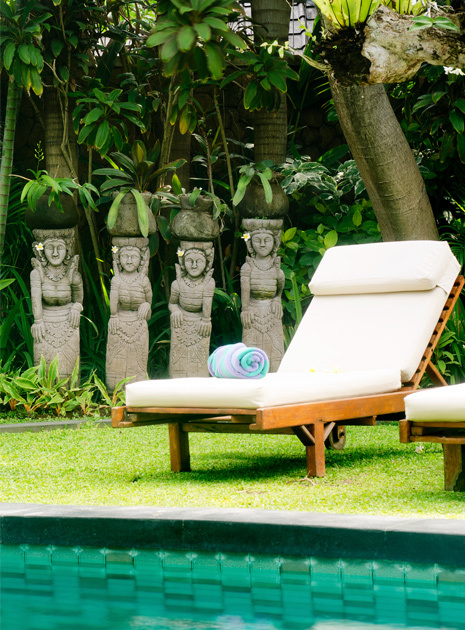 Located in Seminyak’s upmarket area, Villa Des Indes, a hidden tropical villa is only minutes away from the beach, stylish restaurants, sophisticated galleries, hip boutiques and relaxing cafes. 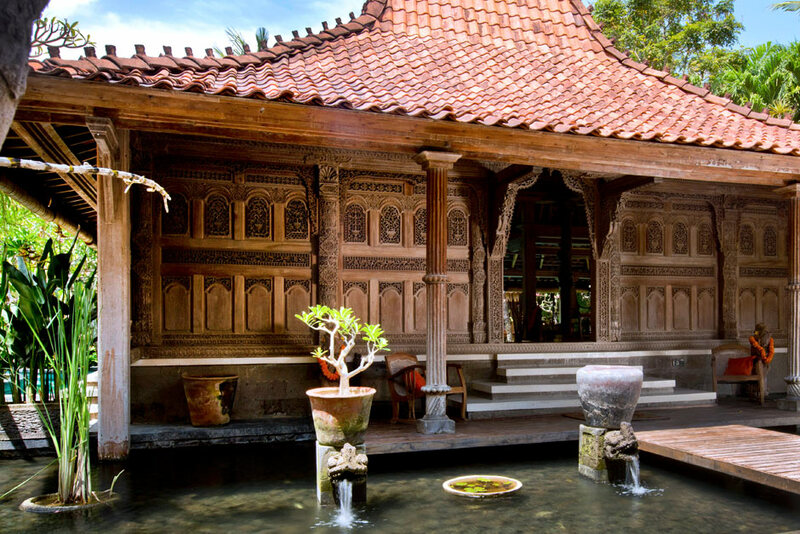 Situated at the heart of Bali, Villa Des Indes is a private residence encompassing (1600 m²) of living space, designed specifically for guests to live amongst the colonial lifestyle. 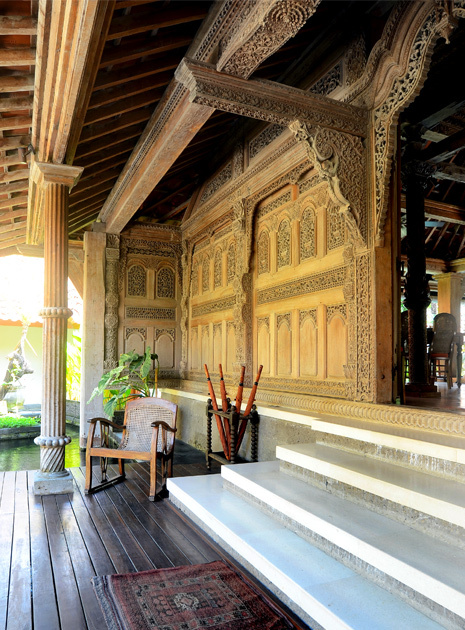 Every detail reveals a deep appreciation for both Javanese architectures with a mixture of Dutch colonial design. 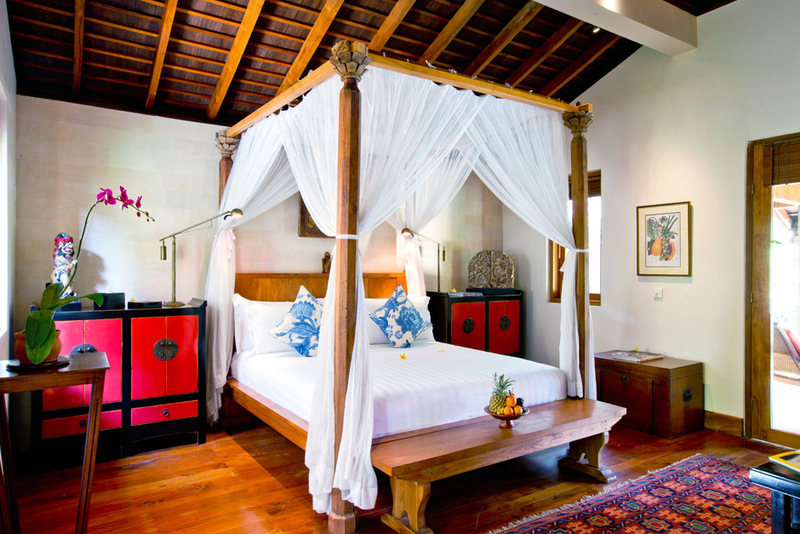 The villa has been customized to provide features that ensures both comfort and a traditional experience for guests. Villa Des Indes is known to offer meticulous craftsmanship at every inch of the space, giving their guests new experiences all around. 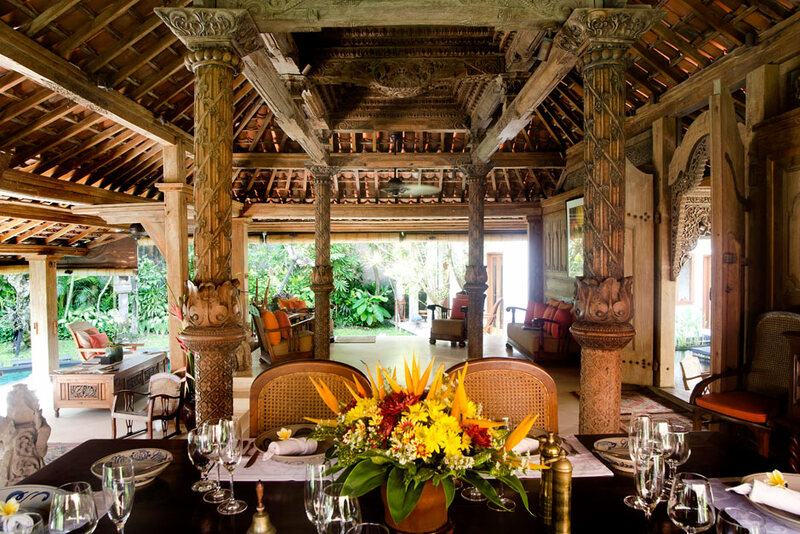 The villa embodies the island itself, portraying Balinese culture. 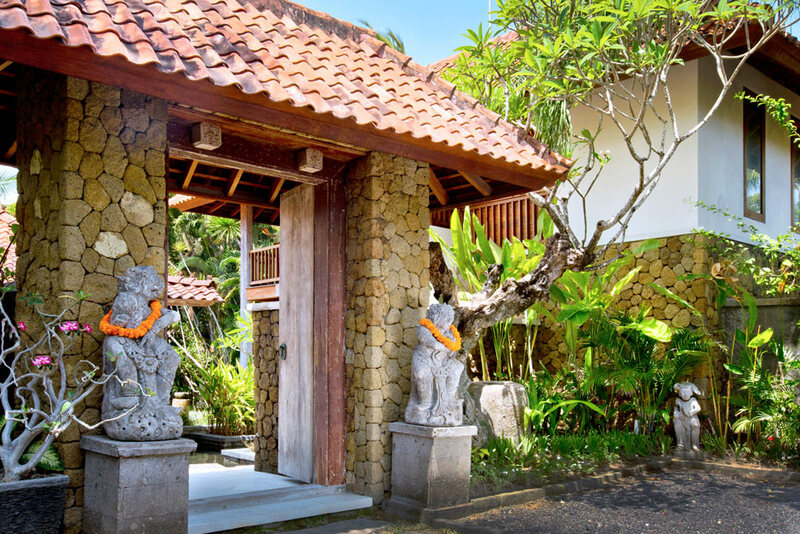 Guests are first welcomed by a handcrafted wooden gate where nearby the gate, is a water pond consisting of decorative and, famously known Koi Fish. 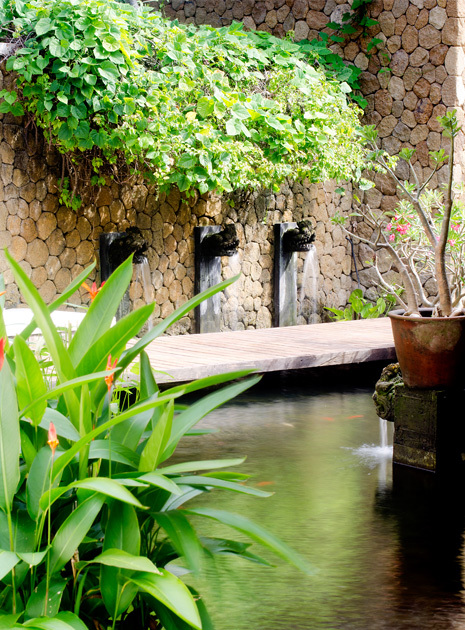 The pond which leads to the Joglo–originally crafted in Limansan in Central Java that was reconstructed on-site piece by piece. 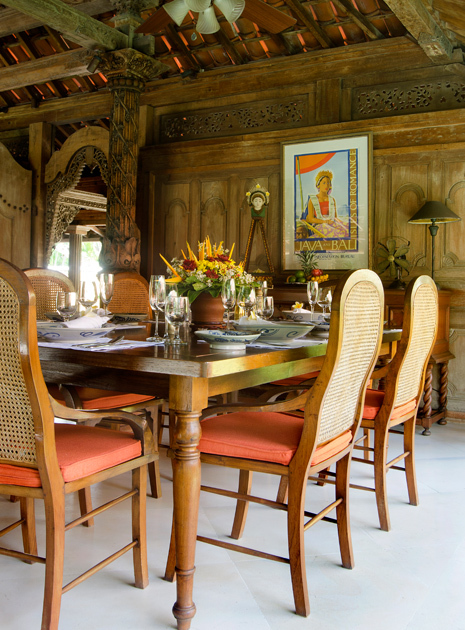 The interior is fully surrounded by Javanese antiques and paintings. 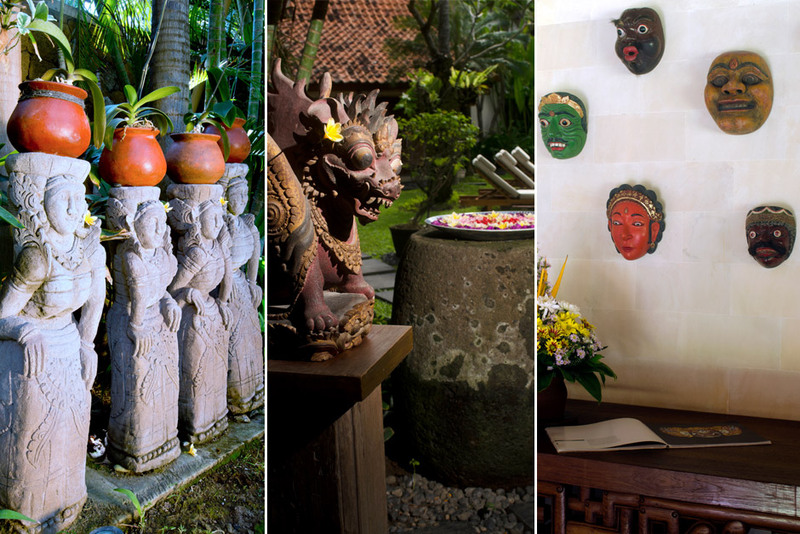 To maximize the sense of space in the villa it includes unique Balinese statues and masks that have spiritual meanings and at the same time serve vibrant colors to give a sense of serenity. 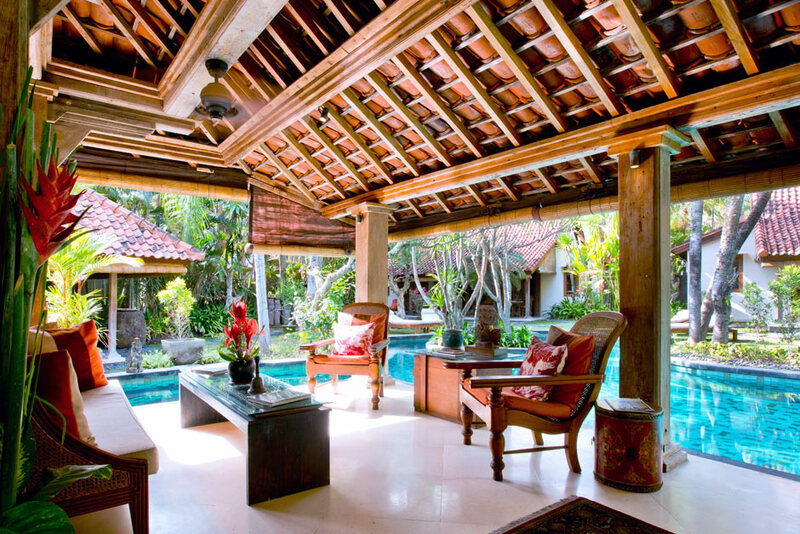 Similar to a typical Balinese home, the villa is compounded of separate pavilions that provide different functions. 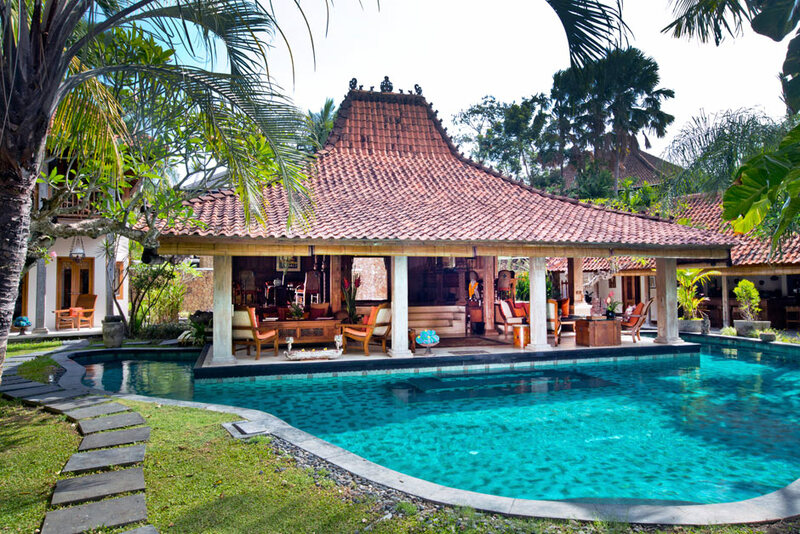 In Villa Des Indes there are six areas: a living room, a bar and four bedrooms. These areas are connected through stoned pathways converging toward and around the pool with added pool side balé and gardens, where guests can enjoy the view. 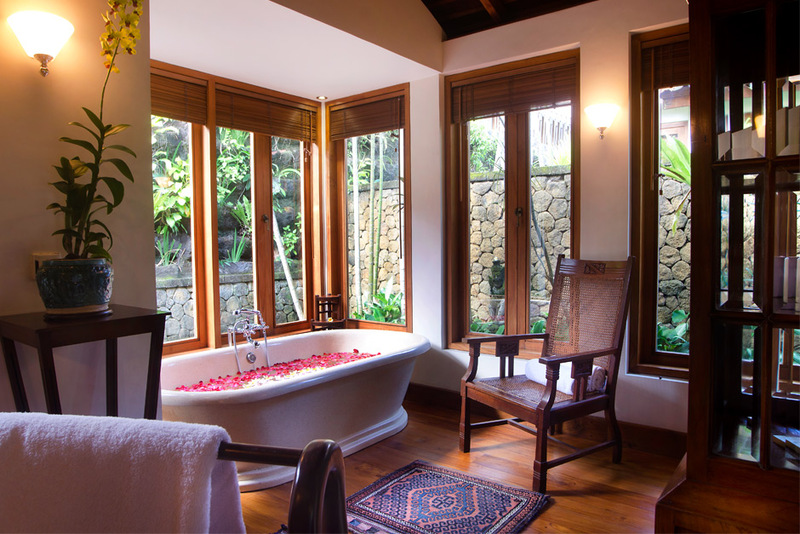 Large grown Frangipani trees, to, matured palm trees are merged in the villa as an appreciation for mother nature. The island shaped swimming pool in the center offers guests a full view of the whole villa while at night shines neon blue lights, a contrast to the night. 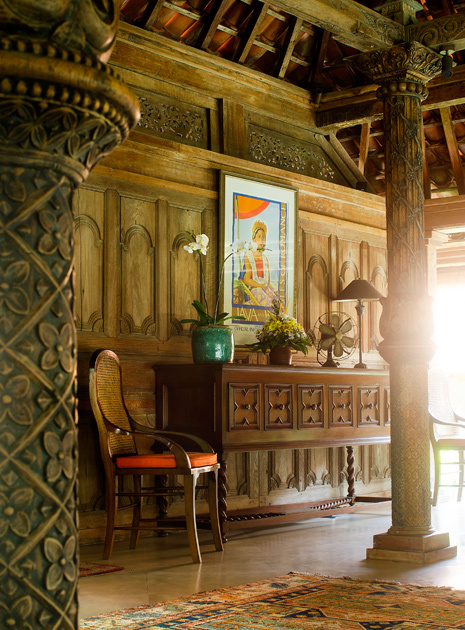 In the living room the interior is distinctly designed to match ancient Javanese elements, reflecting the local tradition. 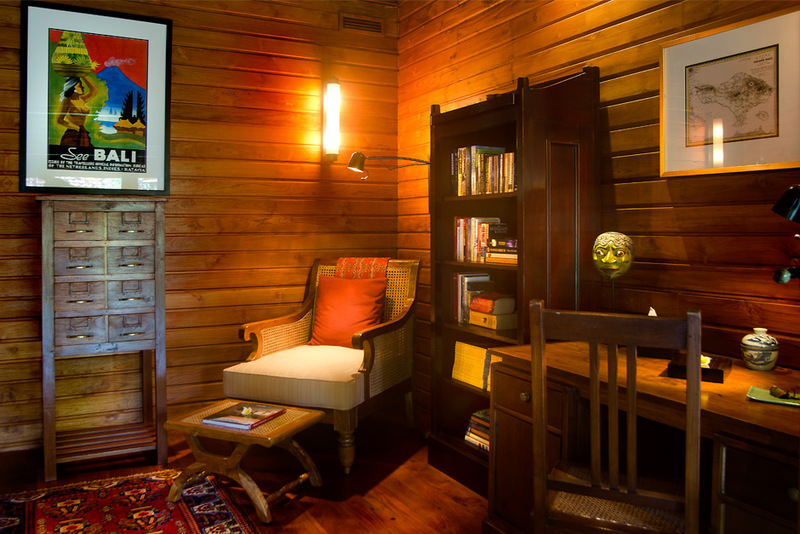 The materials used for the common area are mostly constructed of teak wood; light-colored, rusty and raw. In addition, varieties of Persian carpets are placed around the separate pavilions. There are also mixture of non-fiction and fiction books, with mostly related to Javanese cultures placed around the villa. 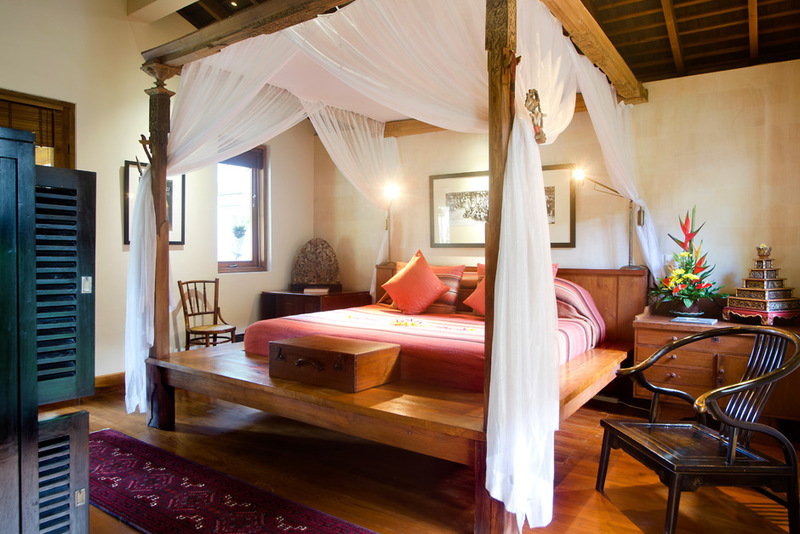 Taking inspiration from the island itself, each bedroom is furnished with luxurious beds covered by canopy for mosquitos that create natural tones and balanced lights in the bedrooms – a very tropical feel. 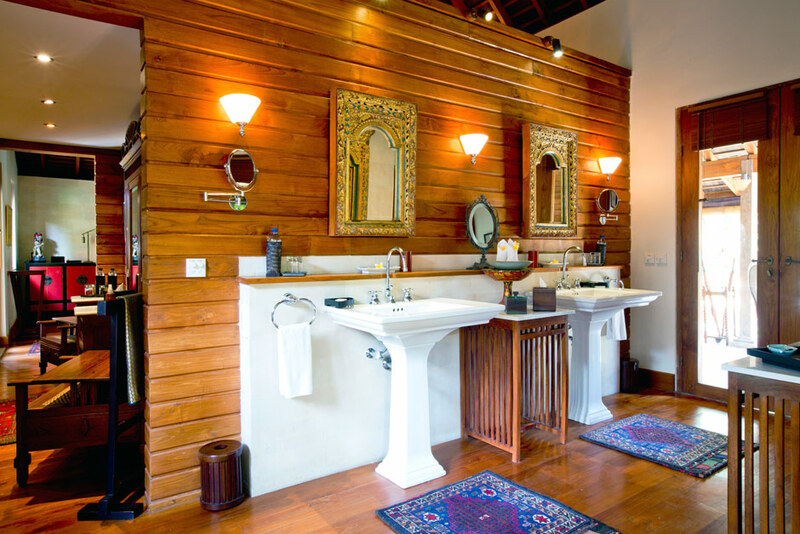 Each bedroom has its very own living room and bathroom in addition each one of the bathroom owns an either an indoor or outdoor bathtub. One of the bedroom is connected to a second floor, which offers two twin beds for guests with children. 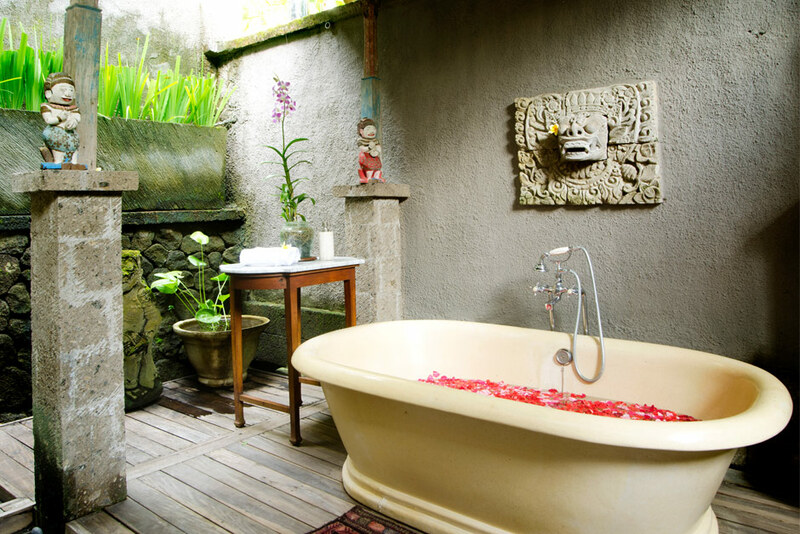 In the island of Gods, Bali’s natural and spiritual beauty, will erase your thoughts from the outside world. 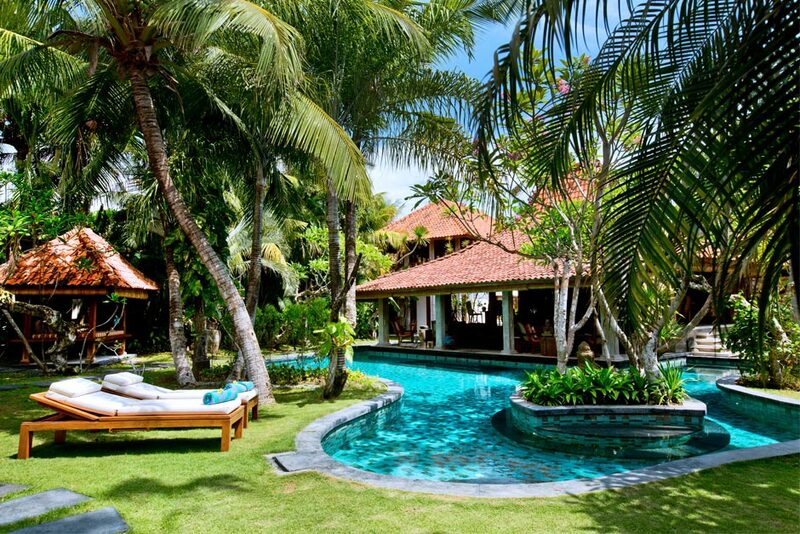 Where one can be isolated and relaxed at this very private sanctuary, you may just find your own happiness and truly find a peaceful state of mind.